The Pet Ramp for Dogs is a very useful product to have in your home or car. There are certain times in a dog's life where they will need assistance with going up stairs or getting in-and-out of cars and you may not be able to lift them continually without injuring yourself. 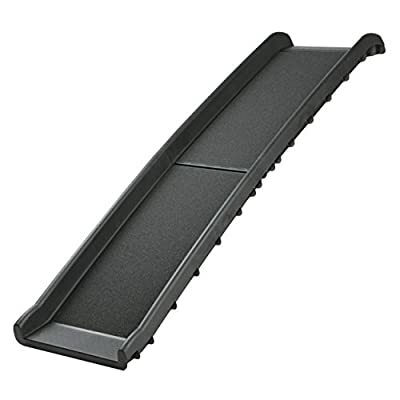 Ramps, like this one, are very useful as they are easy on your dog's joints and body, as well as your own! This ramp comes in a variety of different options, each with their own benefits. Also, as this is free standing ramp, please check the height and weight restrictions!